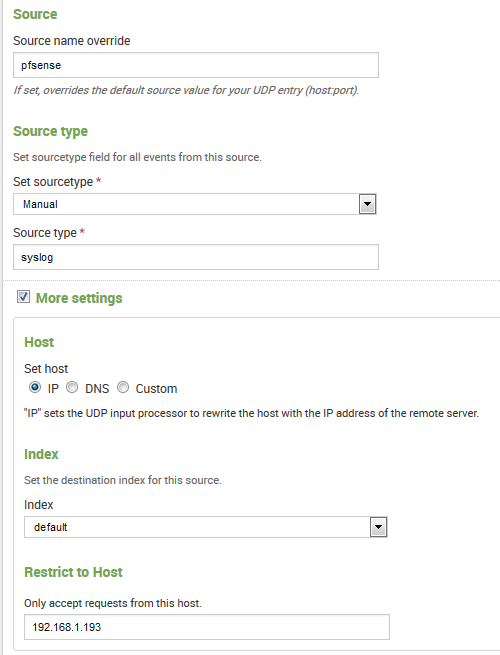 Force DNS requests from local clients to use the DNS Forwarder or Resolver on pfSense for resolution. I chose to use OpenDNS servers based on their reliability and reputation for filtering out malicious domains. 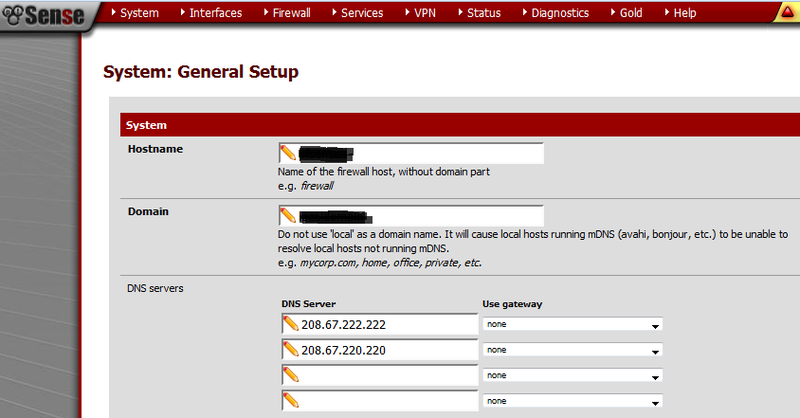 I recommend checking out Blocking DNS queries to external resolvers. Employ egress filtering – Strive to allow only the minimum required outbound traffic. Allow what you know (e.g. web traffic on TCP 80 & 443, DNS queries on TCP/UDP 53), block the rest, and work through it by analyzing the firewall logs and fine tuning the rules making them as granular as possible. Rulesets are evaluated from the top down on a first match basis. Check out the ‘Firewall Rule Basics‘ article for a quick overview. 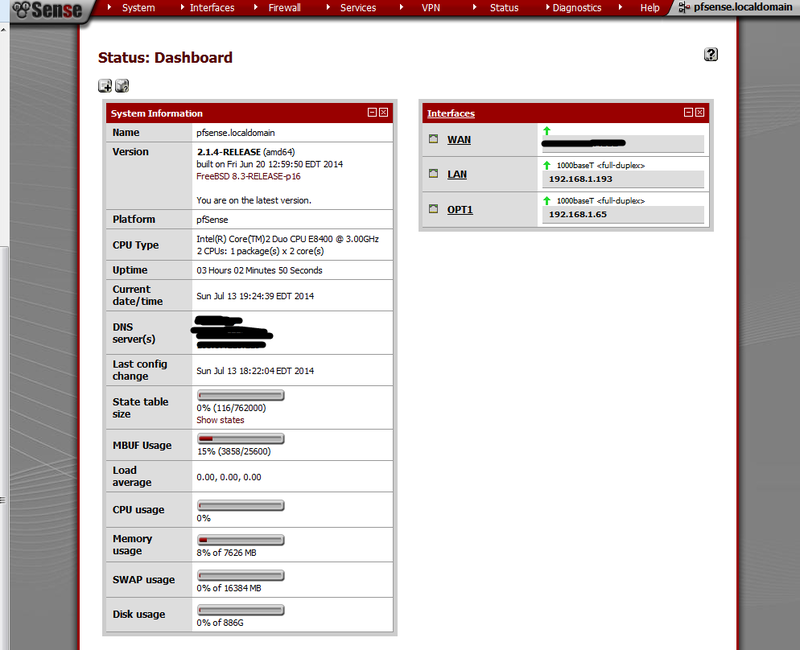 Default deny – Most commercial routers come with default allow rules on the LAN – pfSense is no exception. The best approach is to disable or remove the “Default LAN > any” rule. Check out the ‘Example basic configuration’ article that gives a great understanding of how rules are setup. 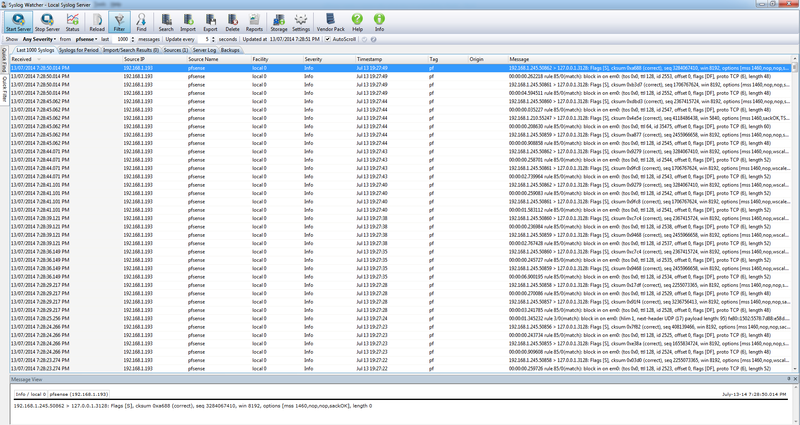 Reduce log noise – Make sure your logs are not getting over-spammed with things such as NetBIOS broadcasts. Too much noise will overshadow the important messages that you want to see. Make sure to carefully analyze your logs and review the frequency. Get a thorough understanding of what is generating the logs, and only then decide if it is something that you deem safe to filter out. pfblockerNG (coming soon?) – Update pfblockerNG v1.0 has been released for 2.2 – thanks to developer BBcan177. I’ve had a chance to play with it a bit. I’ve added some block lists from Emerging Threats and so far so good. I’m already seeing some activity being logged because of the rules. pfBlocker was a must have package for pfSense that could be used to block IP ranges of spammers, botnets and/or entire countries. It would have made this list, but the package is outdated and has some noted issues with pfSense 2.2. Development is under way for it’s replacement called pfBlockerNG. Keep a close eye on the forums for the latest news. A special thanks to all the wonderful folks that contribute to the pfSense project. Your time and efforts are greatly admired and appreciated. Go far beyond the consumer grade WiFi gateway that sits on the shelf, collects dust and runs outdated firmware. No worries, you can make use of it as an AP. Have an old PC lying around? Turn it into a pfSense box; It’s the green way of thinking. Amazing Features: Stateful Firewall, Hardware Failover, Multi-WAN, Load Balancing, VPN, Dynamic DNS, Captive Portal, DHCP Server etc. 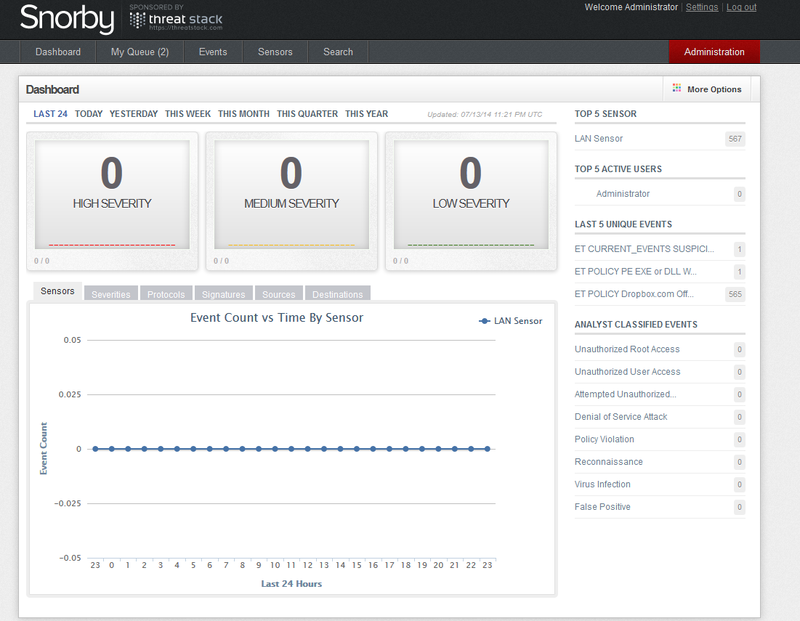 Additional 3rd Party Packages: Squid Proxy, Snort IDS/IPS, pfBlocker and more….. I highly recommend purchasing a copy of “pfSense – The Definitive Guide”. A great read, props to Chris Buechler and Jim Pingle. Great user community and support to help you when you find yourself banging your fist or head against your desk.